Monroe Township NJ Real Estate Info is dedicated to helping you gather as much info as possible about this area. 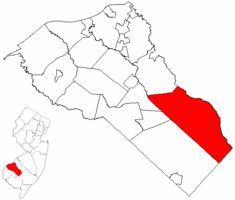 Monroe Township is a large area of several communities in the eastern most section of Gloucester County and along the northern edge. A large famous road - Rt 322 - goes through the Township. Our MLS Search Results will be based on the Monroe Township School District. Several of the communities within Monroe Township will have their own MLS - but this should cover all Listings within the Township.